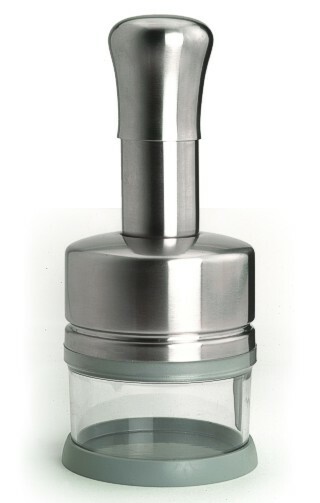 The Avanti Onion Chopper is manufactured in stainless steel and you will appreciate the simplicity of operation. The unit has a spring action, simply push down on on the top section with the flat of your hands and the integral blades will cut and re-align in order to cut again and again until the required consistency is reached. Perfect for all your favourite vegetables even the one which bring you to tears!